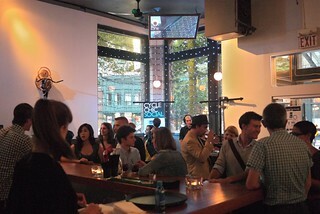 Vancouver Cycle Chic Society's Cycle Chic Social at 1 West Cordova (old Boneta space) in Gastown on June 29, 2012. 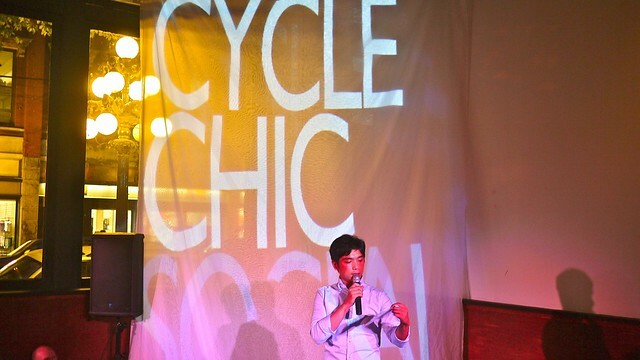 David Phu introducing the night's program of cycle chic variety, combining different creative art forms with community in mind. 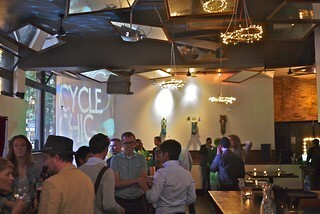 Emphasizing on a "party celebrating a side of cycling the conference neglects—style". 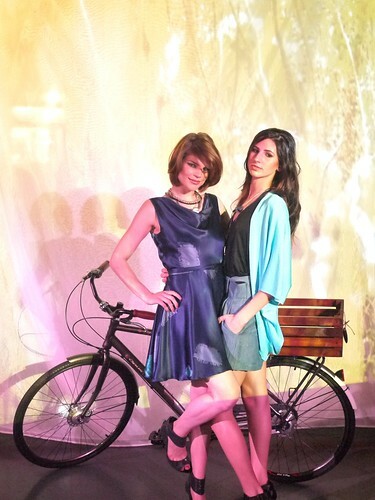 Grand entrance by the Bicycle Babes with a traditional yet inventive cyclist themed fashion showcase. Inspired by Copenhagen Cycle Chic who believe your "street" clothes should be no different than your cycling clothes, as biking becomes more a part of everyday lives. 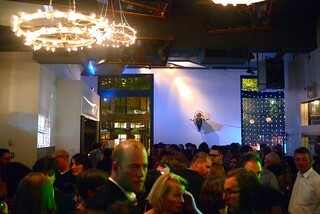 Art installation by Beaumont Studios and decor by Colin Moore keeping the old Boneta space stylishly cool and hip. Custom vintage bicycles from Opus Bicycles, Whoa! Nellie Bikes, and Grass Frames. 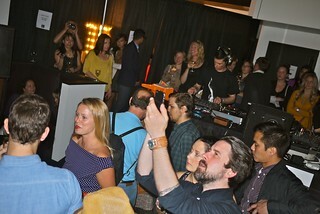 The space surrounding live fashion installations by local retailers and designers. 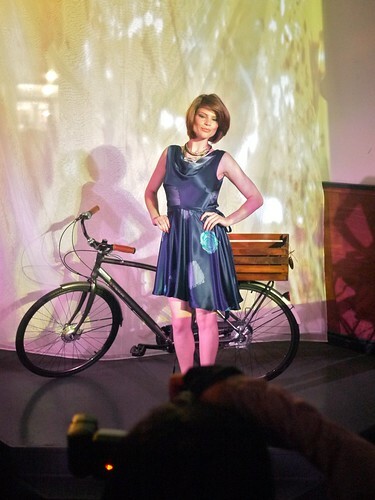 Things getting creative, keeping with the cyclist theme, exploring style and functionality of bicycles. 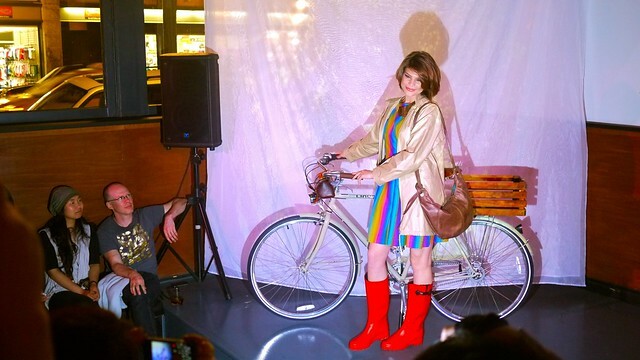 An interesting night of style meets bicycle culture with a fun fashion twist. 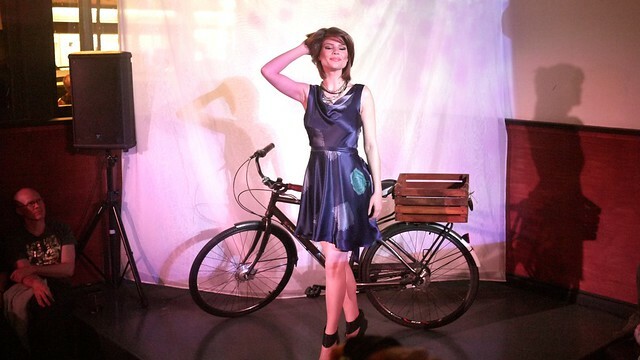 I wanted to see cycle fashion for the everyday commute to work but got bikinis and high heels instead. We need another fashion show. I like how the default avatar picture is of Rick.